Unlike major crops like wheat, quinoa is a complete protein - containing all eight of the essential amino acids. It is packed with dietary fiber, phosphorus, magnesium and iron. It is also gluten-free and easy to digest. Quinoa’s health benefits have made it a staple for hip restaurants and upscale shops around the world. 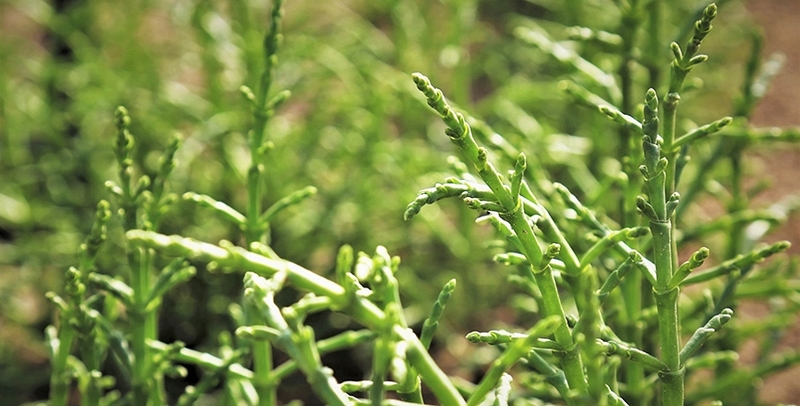 Salicornia is a halophyte that can grow with seawater. It can be used for forage, food and biofuel production. 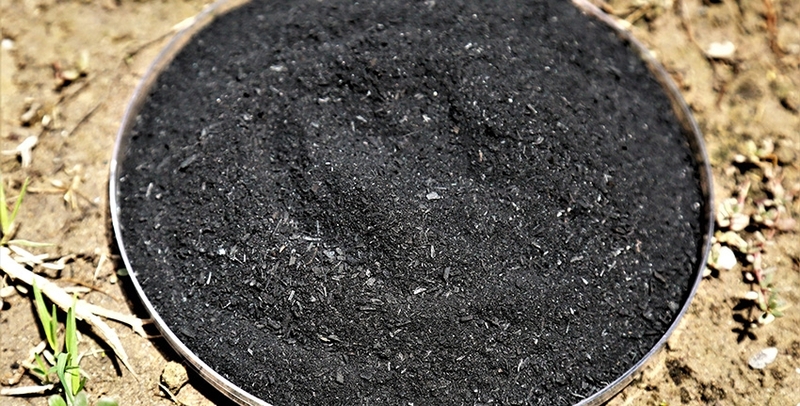 Biochar is produced by heating biomass in an oxygen-free or low-oxygen environment so that it does not (or only partially does) undergo combustion. In this system, biochar can be produced from green waste, which helps to sequester carbon and improve soil quality. An advantage of this process is that it also produces gases that can be captured as bioenergy and fed back into the energy grid, making it a carbon negative process overall. This year Earth Overshoot Day, an annual indicator of humanity’s ecological footprint, will fall on 2 August. By this date the world will have arguably used more of the earth’s resources than it can produce during the whole year. The global population is projected to consume 170 percent of the planet's natural output in 2017. The grim milestone comes much earlier than ever since 1987 when the measure was first calculated. In other words, humans are consuming far more and faster than the earth’s biocapacity could handle. The world is gobbling up more water and other resources, emitting more carbon dioxide into the atmosphere and polluting the environment beyond measure. While incessant carbon dioxide emissions are making climate change a certainty, poor agricultural practices are increasing soil and water salinity, and unsustainable water use is leading to growing scarcity. As a result, many already dry and water-scarce regions have been hit by more frequent droughts severely affecting agriculture, an average of 2,000 hectares of irrigated land in arid and semi-arid areas across 75 countries is degraded by salt every day and water scarcity already affects every continent. Through overexploitation, humanity is on course for a dangerously unsustainable future. To avert the worst-case scenario, it is incumbent on the international community to take immediate action. This is one of the reasons why on 25 September 2015, 193 countries adopted a set of goals to, among other things, protect the planet as part of a new sustainable development agenda. Each goal, also known as a Sustainable Development Goal (SDG), has specific targets to be achieved until 2030. The SDGs, which came into effect in January 2016, call for new, integrated approaches to tackling a wide range of global problems, including food and water insecurity, and climate change. As the world braces for a warmer climate, scarcer resources and a larger population, research and innovation are key to a sustainable tomorrow. Faced with this dilemma, the public and private sectors in many countries have been investing heavily in research and development. Thanks to government and donor funding over the past decades, the international research and development sector has also been actively engaged in addressing a growing number of challenges in different parts of the world, including food insecurity and water scarcity. However, the focus has been mainly on the mainstream crops and technologies which have not produced sufficiently effective and lasting outcomes. This is particularly true of regions with the least favorable environmental conditions. Major cereal crops like wheat, rice, barley and corn, for example, are progressively failing to withstand increasing salinity and lack of water in marginal areas, home to around 1.7 billion people by one estimate. As the global population is forecast to hit 9.7 billion by 2050, the Food and Agriculture Organization of the United Nations estimates the world will need 70 percent more food. Yet scientists warn that industrial agriculture might be reaching its limits to produce enough food. What is more, yields of major crops are projected to fall by 25 percent and more by 2050 due to climate change and land degradation in a business-as-usual scenario. This raises serious concerns about whether traditional agricultural methods and crops will be enough to sustain global food production targets as regions which already suffer from water scarcity and land degradation are forecast to see the largest population growth. There is, therefore, a pressing need to identify, test and introduce alternative, non-traditional solutions to sustain and possibly increase agricultural productivity in regions where traditional, mainstream approaches are failing or uneconomical. Alternative, non-traditional crops like quinoa and pearl millet, for example, are better suited to regions affected by salinity and drought. In places where water is in short supply, treated wastewater, saline water and even seawater are good options for agricultural and landscaping purposes. Over nearly two decades the Dubai-based International Center for Biosaline Agriculture (ICBA) has been at the forefront of alternative, non-traditional crops and technologies that help to produce more food, save more resources and protect the environment. The center has developed and tested a wide range of solutions suited to changing realities in different regions. One crop of interest is quinoa. 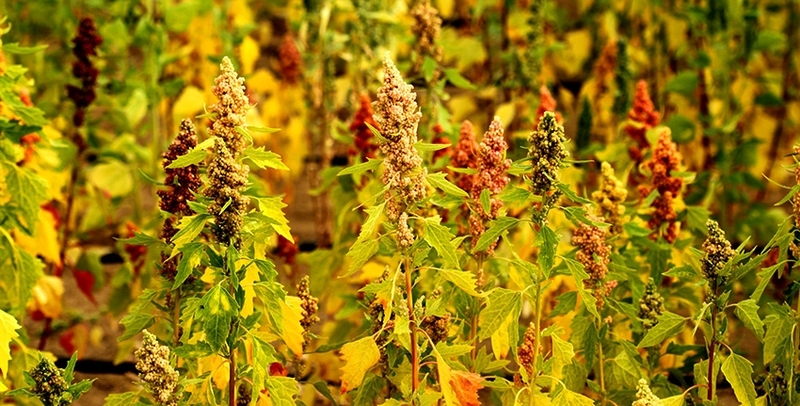 Since 2007 ICBA has been leading a global program on quinoa to make it a crop of choice in areas affected by salinity, drought and water scarcity. The program is so far under way in Egypt, Jordan, Kyrgyzstan, Morocco, Oman, Tajikistan, the United Arab Emirates (UAE), Uzbekistan and Yemen. Today the center has four tested lines that do well under highly dry and saline conditions. Multi-year trials have shown that ICBA’s lines produce, on average, up to 5.41 tonnes of seed per hectare under highly saline, sandy and arid conditions in the UAE. In Central Asia, the lines have been reported to yield as much as 5.57 tonnes of seed per hectare. The center also implements research programs on treated wastewater, saline water and seawater irrigation in agriculture and landscaping. In the UAE, for example, scientists have been assessing since 2013 the pros and cons of treated wastewater use. This initiative has major implications for water management as treated wastewater accounts for 12 percent of the total water supply in the country and undergoes tertiary treatment. Long-term experiments have investigated the effect of irrigating vegetables such as carrots, lettuce, eggplant and tomato, as well as landscaping plants and date palms, with treated wastewater. The results indicate that treated wastewater is a good alternative to freshwater when it comes to agriculture and landscaping under arid conditions. ICBA also considers reject brine and seawater as alternative sources for irrigation. Given that more than 8.7 million cubic meters of desalinated water is used for irrigation and around 3.5 million cubic meters of reject brine is produced globally every day, it is crucially important to ensure safe disposal and sustainable use of this by-product of desalination. The center has operated for several years inland and coastal modular farms jointly with the Ministry of Climate Change and Environment of the UAE to study the use of reject brine and seawater for aquaculture. The inland modular farm uses desalinated water for vegetables, reject brine for fish, and aquaculture effluents for halophytic plants, while the coastal modular farm uses seawater for fish and aquaculture effluents for halophytic plants. Researchers have also worked since 2015 on a low-cost technology to make biochar from green waste. Biochar is a charcoal used as a soil amendment and produced from plant matter and stored in the soil as a means of removing carbon dioxide from the atmosphere. Plant matter decomposition is a natural source of carbon dioxide emissions. So turning plant waste into biochar instead of dumping it in landfills would benefit the environment and agriculture. In the UAE, for example, 0.6 million tonnes of green waste is generated from some 40 million date palm trees every year. If left to decompose on the surface or dumped in landfills, this biomass can produce 880 million tonnes of carbon dioxide annually. The center has tested its low-cost technology in field trials for soil improvement and crop production. The trials have demonstrated that biochar significantly improves soil fertility, helps to save 30-35 percent of water and soil nutrients, and mitigates carbon dioxide emissions. As climate change and overexploitation pose a growing number of risks to the planet and humanity, it is important to reassess whether mainstream approaches will be enough to deal with ballooning demand for food and other resources. Unless there is a paradigm shift in thinking, efforts to ensure, among other things, food and water security, and save natural resources for future generations are unlikely to succeed. Today it is clear that research and innovation hold the key to a more sustainable future. But it is necessary to pursue alternative avenues wherever conventional wisdom is of little help. A way forward should consider options that have received little or no attention yet, especially in parts of the world that suffer from lack of water, poor soil, and drought. First, alternative, non-traditional crops should come to the fore in areas where major crops produce little or fail. It will boost productivity and income. Second, there is a need to consider using treated wastewater, reject brine and seawater for farming and other purposes in countries where freshwater resources are scarce. This will help to reduce pressure on freshwater resources. Third, it is crucial that research and development continue to identify and test crops and technologies best suited to these environments. All this should form part of global efforts towards sustainable management of natural resources and food security for the benefit of future generations.